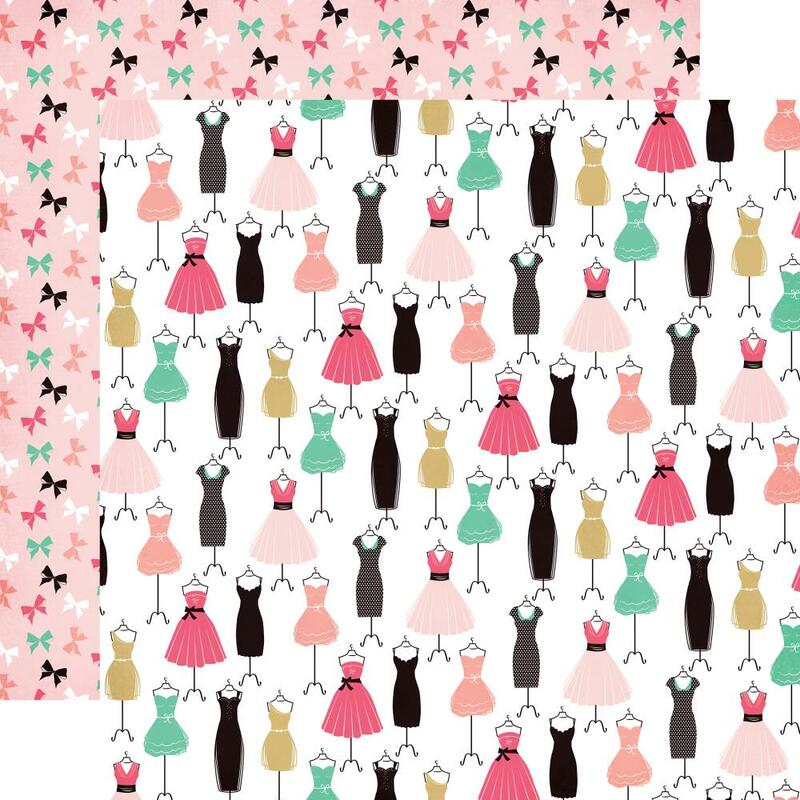 This 12x12 double sided paper has an Assortment of Glamour Dresses on the frontside while the reverse side has Bows. Look for coordinating Embellishments, Ephemera, Stamps, Decorative Dies and other Designer Papers. Part of the Fashionista Collection by Echo Park Paper Co.